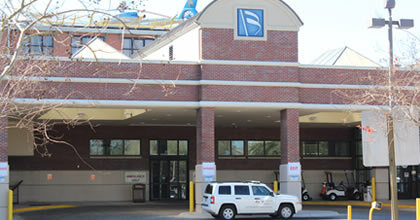 The Emergency and Trauma departments at Baptist Health Care understand your needs when faced with a medical emergency. The usual response is fear, stress and simply not knowing what to do. You don’t have to worry when you come to us. Our experts – doctors, nurses and staff members – are ready to apply their experience and expertise drawing from many specialties. We want to ensure you receive excellent emergency care and are here for you around the clock, seven days a week. If your emergency is life-threatening, call 911 or immediately go to the nearest emergency and trauma care center. The ER teams are prepared to provide seamless care for you and your loved ones when you experience unexpected illness or injury. 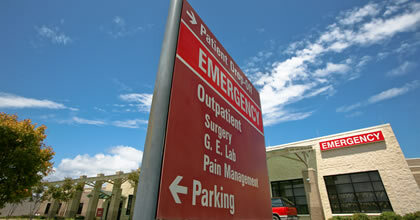 All of our ERs are staffed by trained, experienced physicians and emergency team members. In addition, all locations offer private treatment rooms and comfortable waiting areas. If you need the support, comfort and compassion of our Palliative Care team, please let us know. We are here to serve you. 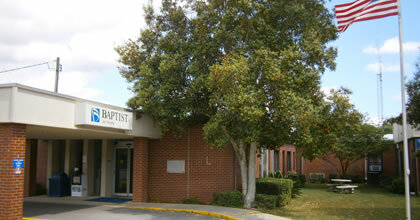 1110 Gulf Breeze Parkway in Gulf Breeze, Fla. just minutes from Pensacola Beach, Navarre or downtown Pensacola. 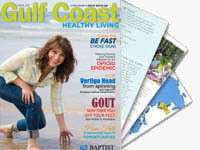 Gulf Breeze Hospital is a designated Stroke Center. 14114 Alabama Street, Jay, Fla.
For minor injury or non-life threatening illness, learn about our Urgent and Walk-In Care Centers.